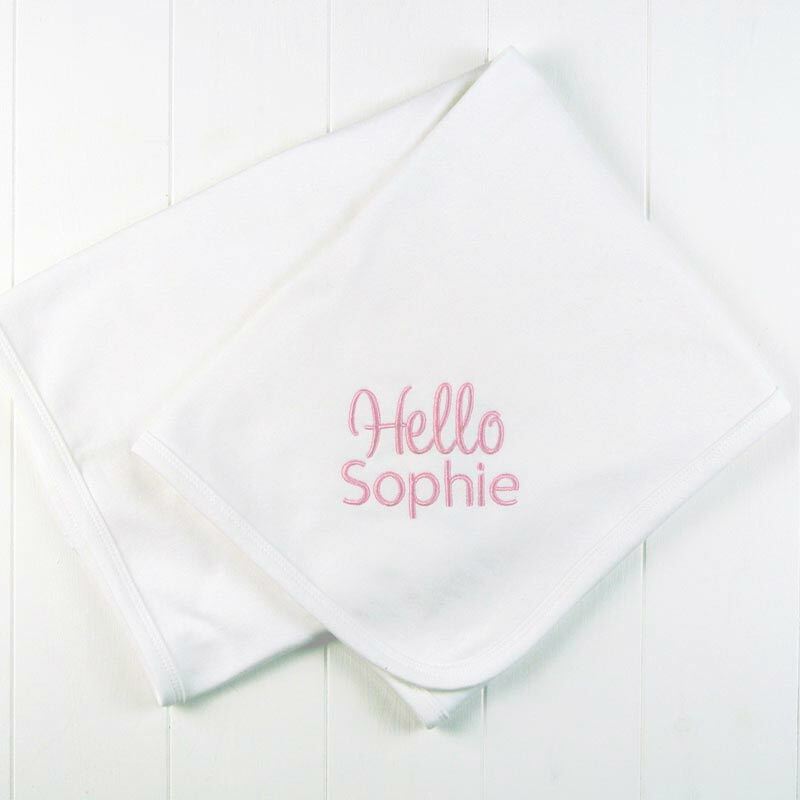 Personalised blanket in white- a soft 100% cotton blanket, personalised in your new baby's name in either white, pink or blue embroidery. Perfect size for use in a pushchair or pram. 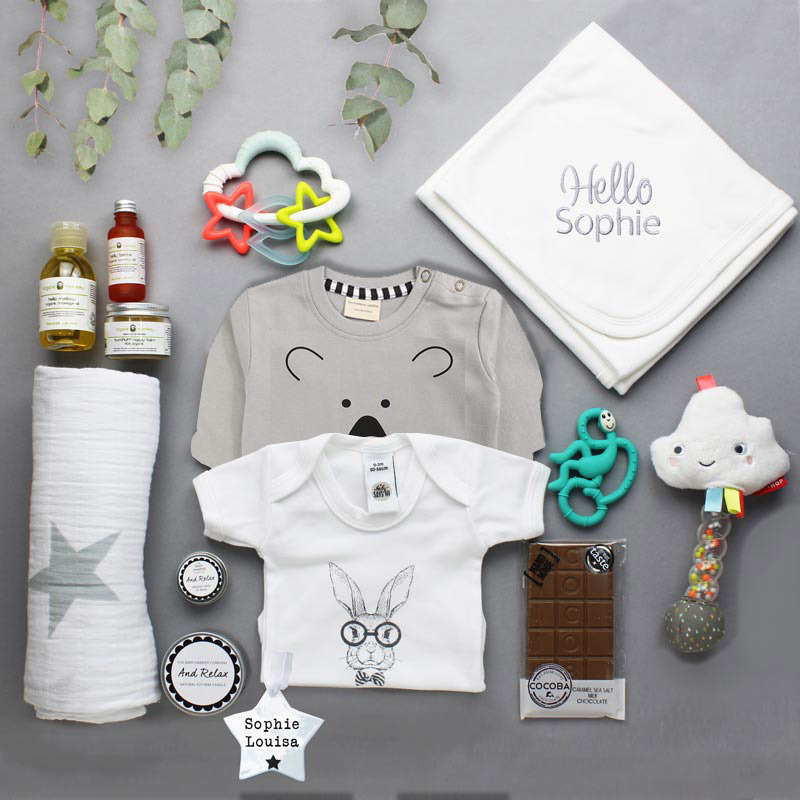 Featured funky 'Hello Baby' design. 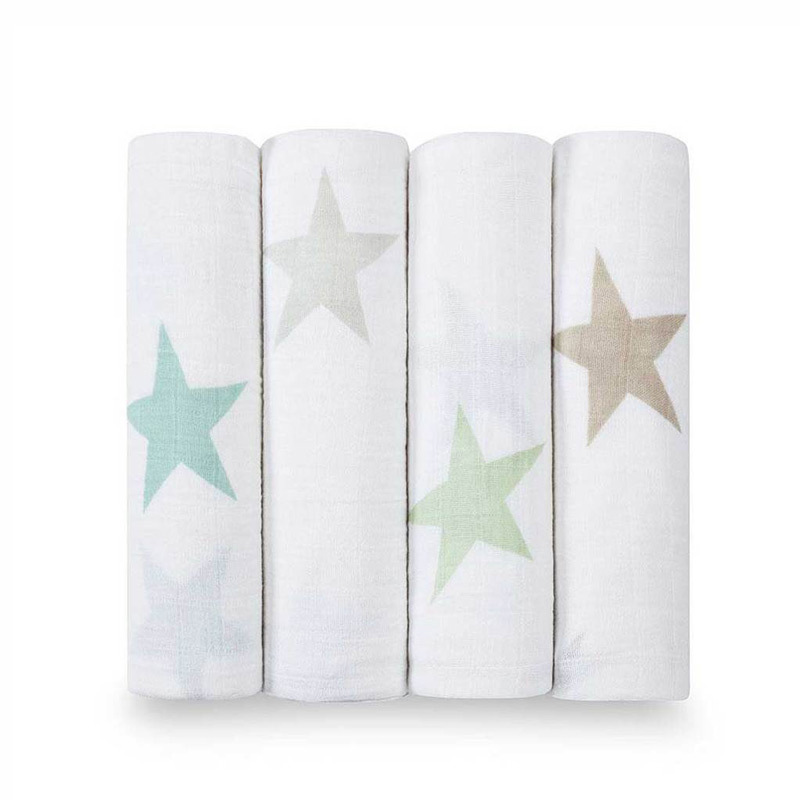 Aden & Anais Swaddle blanket - a large swaddle blanket featuring a simple yet stylish stars print by designer brand Aden & Anais. A great all round product. Can be used as a pram blanket, burp cloth and breastfeeding cover up. 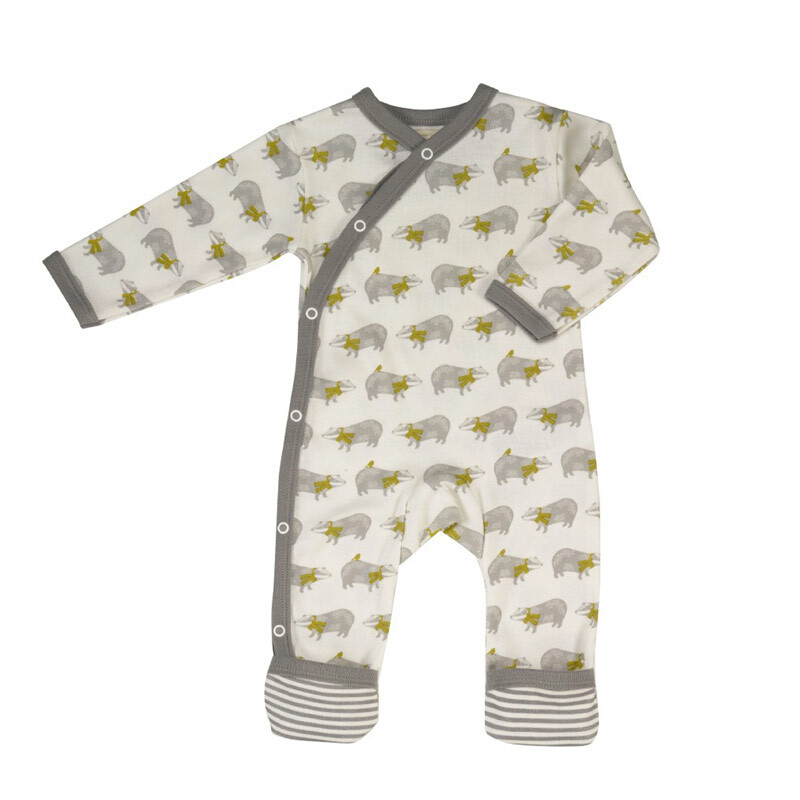 Pigeon Organic Sleepsuit - a designer organic cotton sleepsuit, featuring yellow Breton stripe design. 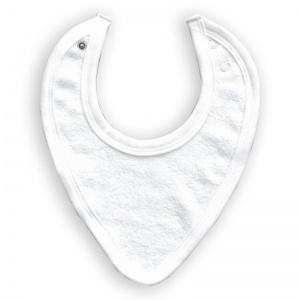 Quality item and suitable for 0-3 months. Bandana bib - a super soft 100% cotton, white bandana bib to keep baby clean and dry after feeding. Age 0-24 months. 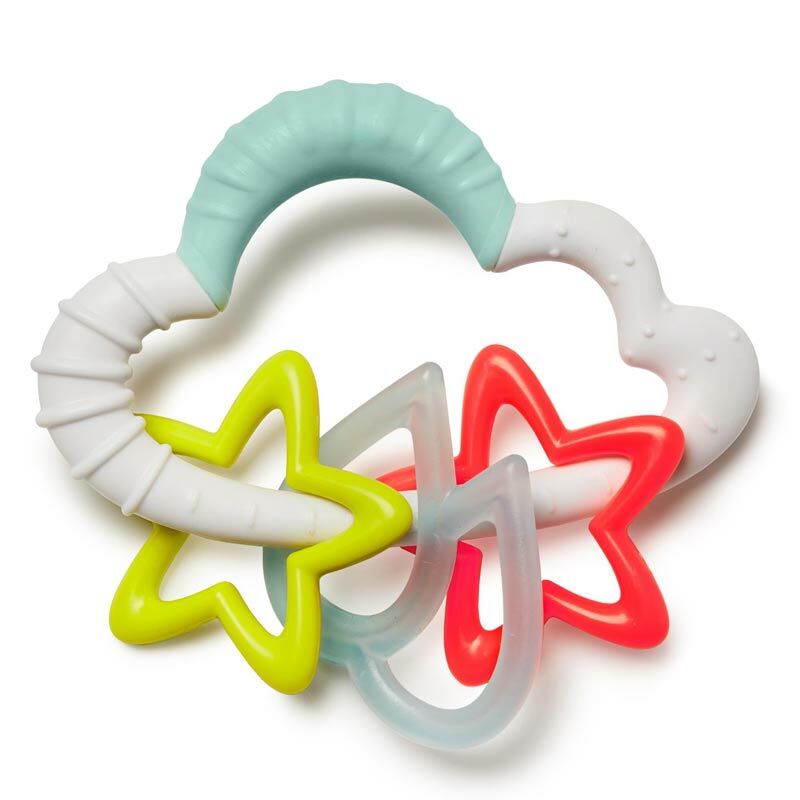 Skip Hop Cloud rattle - a great little toy for play and teething. 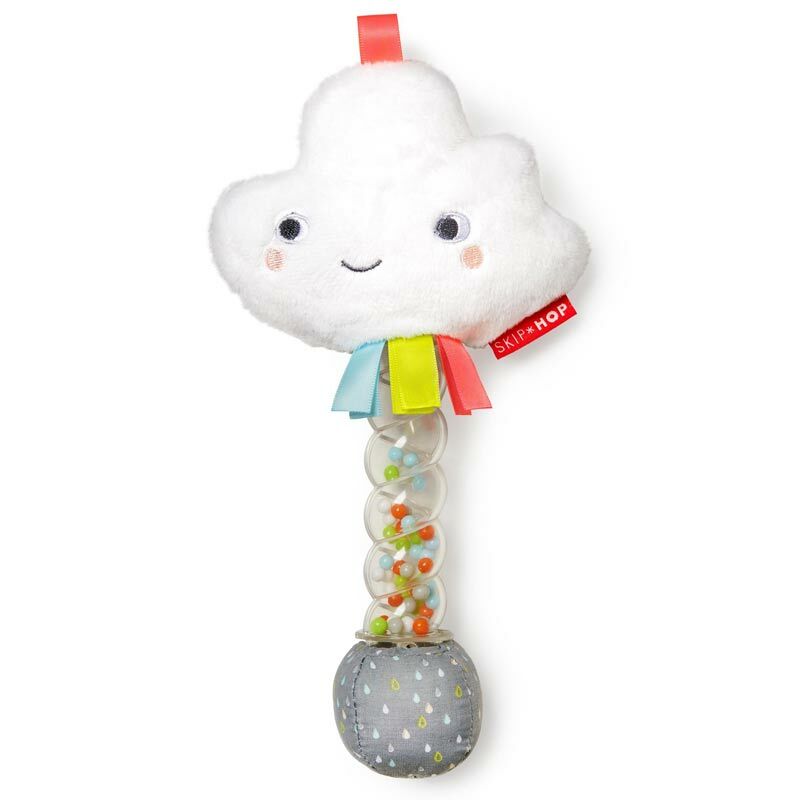 Skip Hop Rain Stick - a sensory stimulation handheld toy features a variety of colours, textures and sounds. 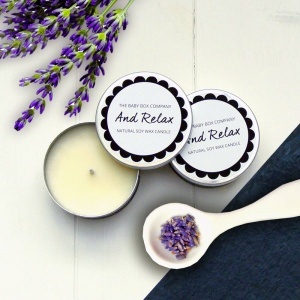 'And Relax' scented candle and lip balm - a little pampering treat for your new mum, this set release a soothing aroma of essential oils to relax and rejuvenate. 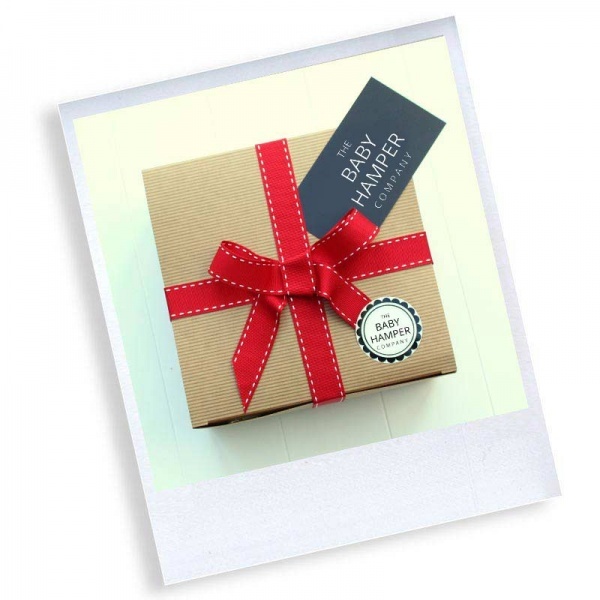 Organic Monkey Ultimate Skincare set - a set of 3 items from a luxury baby skincare range. 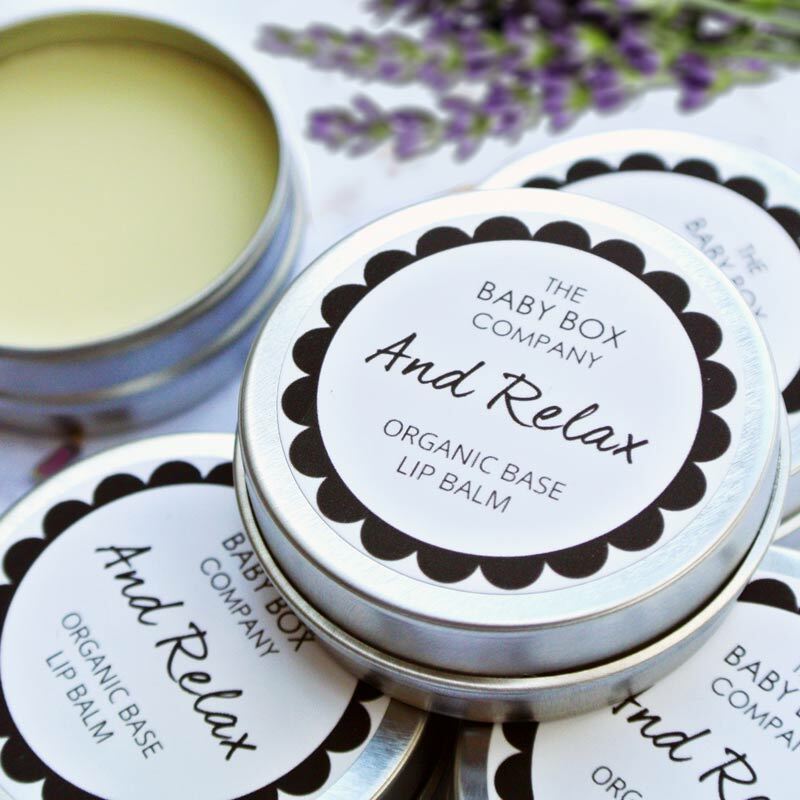 Contains nappy balm, massage oil, and belly massage oil. Beautifully scented and suitable for even the most sensitive of skins. 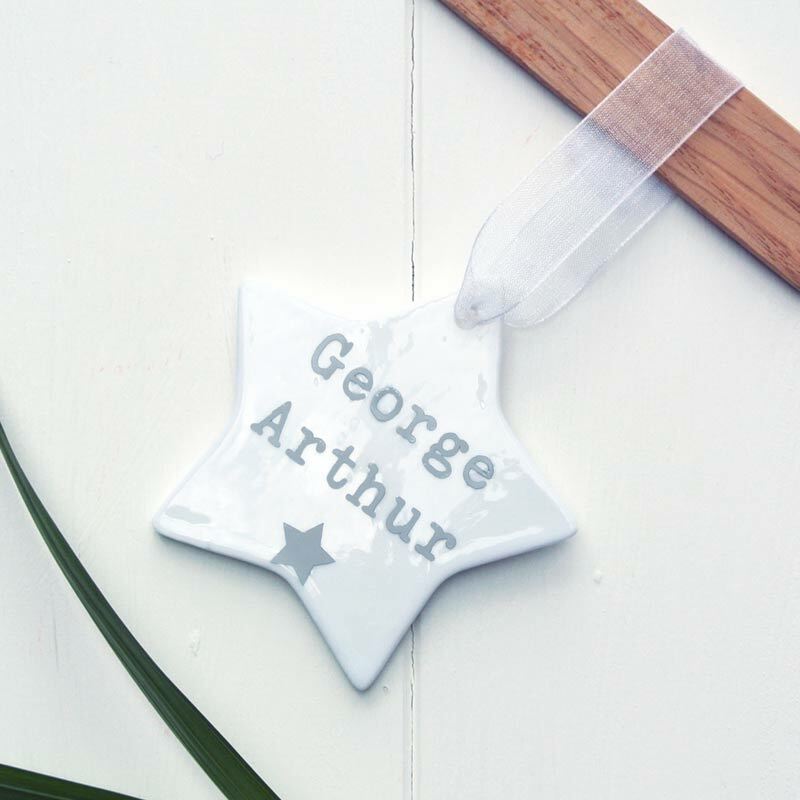 Personalised Ceramic star - a personalised hanging star decoration for your baby's nursery walls. 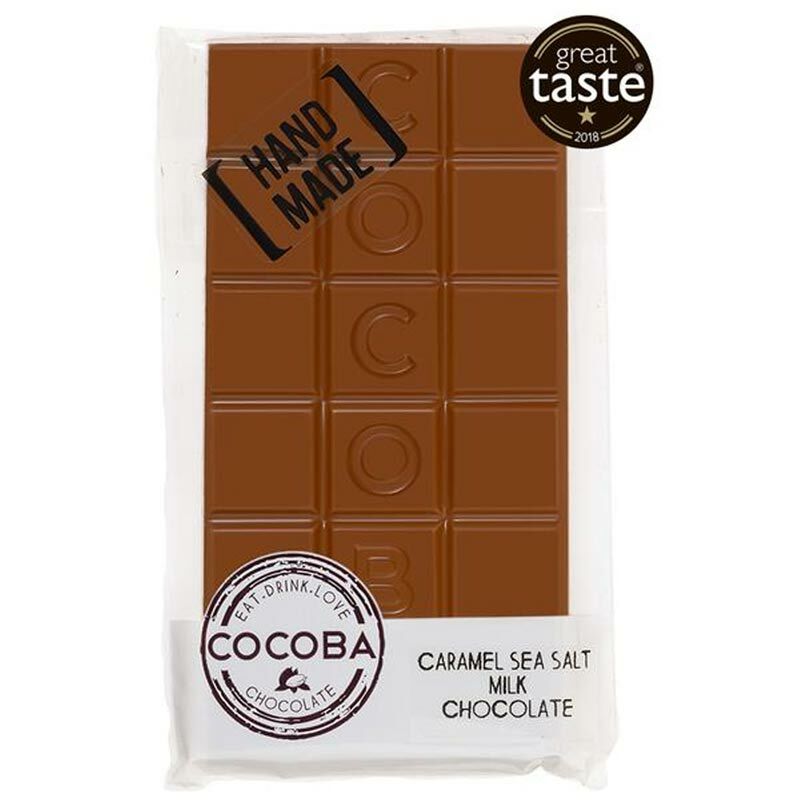 Cocoba Sea Salt Caramel bar - 100g Belgian chocolate bar with caramel and a hint of sea salt. 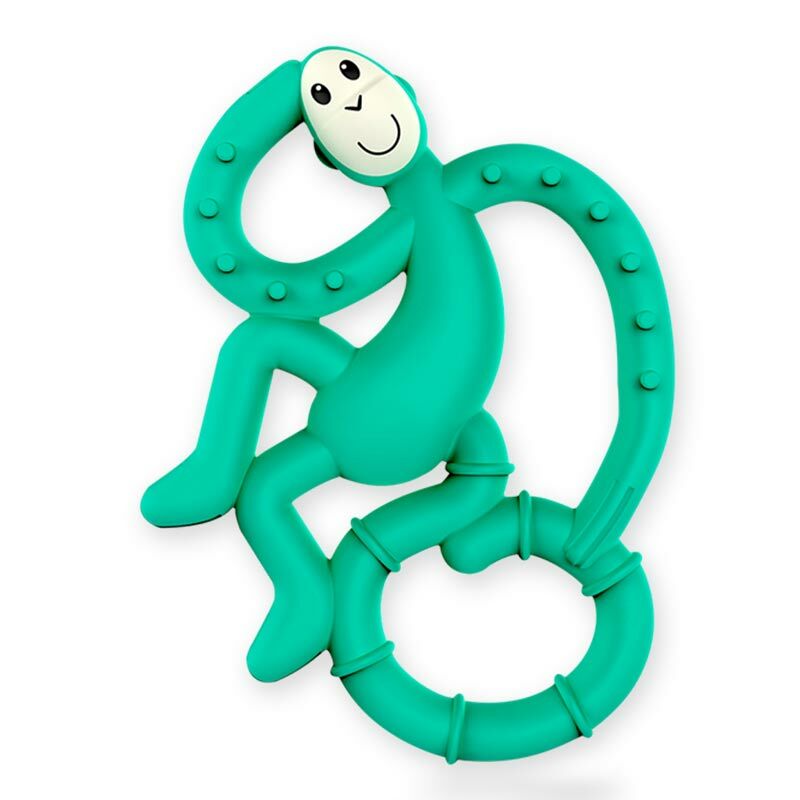 Matchstick Monkey - a fun yet useful baby teething toy, for use at home or out and about. 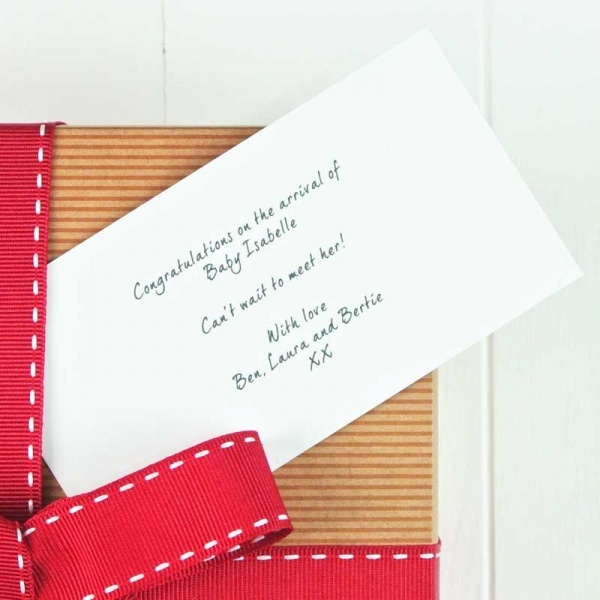 This hamper comes with FREE standard UK delivery, gift wrapping and personalised message card!